Loai Odeh (in foreground) at a solidarity tent where supporters of Palestinian prisoners are on symbolic hunger strike. Loai Odeh is a former political prisoner who was released from Israeli prison in theprisoner swap deal last year and forcibly transferred from Jerusalem to Gaza; before his release, Loai took part in the 22-day mass hunger strike launched at the end of September 2011 to protest cruel conditions and an escalating series of punitive measures against Palestinian prisoners. Loai has published on Facebook very expressive, moving and informative diaries chronicling the experience of a hunger striker (see my translation of the first eight installements of Loai’s hunger strike diaries, pubilshed on 24 April). His last status update was on the 15th day of the hunger strike, just before he went on open hunger strike along with fifty other people on the 16th day of the mass hunger strike. They have taken the sit-in tent in Gaza as their shelter, which they say they will not leave unless our prisoners stop suffering. They couldn’t stand watching our prisoners going through slow death without doing anything in solidarity, so they have gone on a symbolic hunger strike that aims to draw attention locally and internationally to the prisoners’ just cause. I took the initiative to translate the rest of Loai’s diaries from Arabic, hoping to inspire everyone who reads it, just like they inspired me. Today is the ninth day of heroism. Our strikers have already endured a long time of suffering and loss of weight. The provocative practices of the Israeli Prison Service (IPS) keep escalating. The searches get more intensive and violent. But we should keep in mind that “search” policy according to Israel’s oppressive administration involves different processes. During ordinary days, the purpose of searches is to find the contraband that our prisoners managed to smuggle in to ease their difficult lives. However, during a hunger strike, the only purpose of a search is to tire our strikers physically and psychologically. Soldiers burst into strikers’ rooms aggressively as if they were confronting armed fighters on a battleground, not hunger strikers with feeble bodies that can barely stand. Knowing that strikers are intolerant of noise, soldiers break into their rooms with loud screams and initiate a hand search in a way that one feels that he’s being beaten rather than searched. Whoever refuses to undergo these “searches” gets beaten up and is plunged directly into solitary confinement. The prisoners are then left in a yard outside with no place to sit for hours while their rooms are turned into a complete mess. The contents of the rooms are heaped into a single pile, indiscriminate of who they belong to, disheartening the prisoners when they return and discover the pile that they are faced with sorting through and straightening out. Moreover, they tear off their mattresses’ cover sheets that take strikers a long time to put back or replace. Even during ordinary days these searches are tiring, so imagine how they are during hunger strikes. Jailers subject prisoners to these searches several times a day, leaving them for hours under the burning sun or in the cold night air while conducting the searches. However, our heroes’ determination and their solid commitment help them to neglect the guards’ provocative and humiliating practices as they realize that challenging is a needed weapon to go on and win over the IPS’s oppression. Solidarity movements have to use all the means available to help them have fewer days of suffering. Today marks the tenth day of the hunger strike. Despite the multitude of searches and the pains of hunger, our heroes manage to maintain their smiles. They are stronger as they are armed with souls that can never be submissive, even during hunger. Their sense of humor stemming from their pain becomes their sweetest memories during imprisonment. Abstaining from food for a long time doesn’t mean that they stop thinking about it. Instead, strikers start thinking about which meals they like or dislike. Actually the meals that they don’t like come to their minds even more intensely than the meals they prefer as they regret not appreciating the blessings and satisfaction of those meals when they ate them in the past. 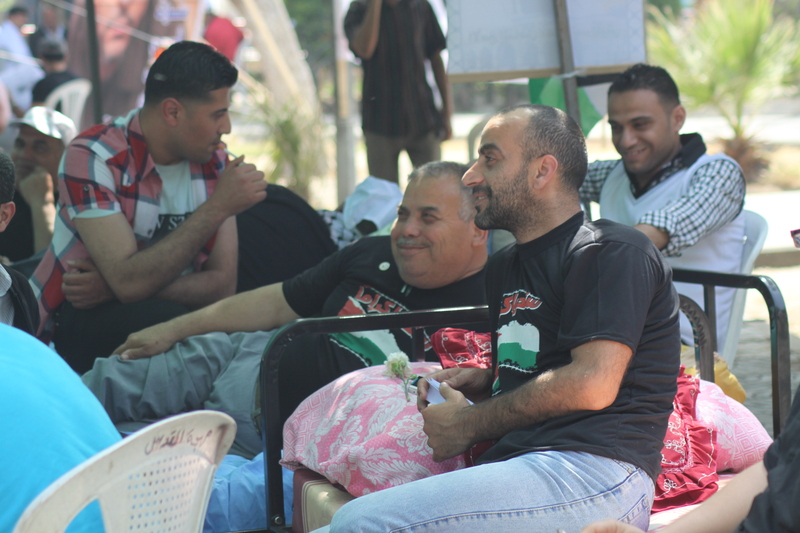 In fact, it does often happen that after hunger strikes, many strikers start eating foods that they have never liked. The talk about these unfavorable meals which suddenly become desirable creates a humorous atmosphere among them during their strikes. One of them acts as if he is the one whose responsibility is to cook for everyone. They start imagining the smell and taste of their favorite meals while making funny comments that uplift their spirits and make them stronger. It’s important to know that these thoughts of food arouse their hunger and thus cause their stomachs significant pain, and the laughter gives them headaches. However, they do their best to keep smiling regardless of the heavy price they are paying, believing in the importance of keeping their spirits at ease. They are stronger than all of us because they have high spirits, armed with conviction that the smiles of Palestine’s children are worth their sacrifice. Today is the eleventh day of the battle, the hunger strike for the sake of dignity and freedom. Fear of an organ failure increases as the physical sores worsen. All strikers start to suffer from toothaches and backaches that worsen due to the lack of proper medical care. During ordinary days, their demands to have dentist appointments take months to be granted. Even when one finally gets an appointment, he has his tooth pulled or receives a temporary and incorrect treatment. And then there is the waiting room, which is extremely hot in summer and freezing in winter, where a prisoner is left for hours to wait in before he is allowed in to see the dentist. The waiting room conditions make these rooms seem like rooms for torture, not for waiting, and thinking of these rooms makes prisoners avoid demanding medical appointments, except for the utmost necessity. Tooth and back conditions intensively deteriorate during the hunger strike. Pain gets unbearable, causing them sleepless nights. Despite that strikers tend to sleep, to rest, to stretch their bodies. Their backaches are caused and exacerbated by their thin mattresses placed on iron beds, which aren’t flat, preventing them from sleeping or resting properly. These pains make them more determined to accomplish their goals as they believe that their victory will improve the medical care they get. “Stop medical neglect” is on the top of slogans that our prisoners are demanding of the IPS with their empty stomachs. It’s the duty of everyone whose conscience is awakened to support our prisoners so that they can achieve a victory that guarantees their simplest humanitarian rights. Today is the twelfth day of the hunger strike. After twelve days of hunger, our prisoners are increasingly eager to hear news regarding their strike that may contribute at ending their suffering. Usually, not all prisoners join the strike all at once. However, as more days of hunger strike pass, strikers’ number increases. I assume that most of you wonder why all prisoners don’t join the hunger strike with their comrades. For this question to be answered, we should keep in mind that the success of the hunger strike depends on three main factors. 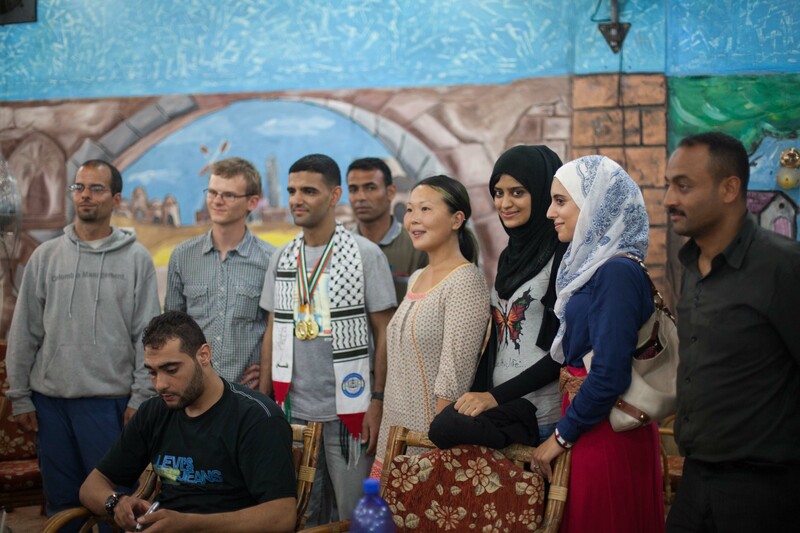 The first factor is the internal preparation, including the process of selecting leaders and their framework — the strategy for negotiating with the IPS, and preparing the needed publications to prepare youth for the battle by making them aware of the side-effects and the psychological circumstances that they may go through during the hunger strike. The second factor is the external political situation. The political situation must be suitable to start the strike as it’s not logical to start it while a war, during a major international event (the World Cup, for example), or any overshadowing political event which might prevent the politicians or supporters from paying full attention to the strike. The third factor is the popular support and the foreign pressure needed to sustain the strike. Without this factor, Israel won’t feel pressured to meet our prisoners’ demands. 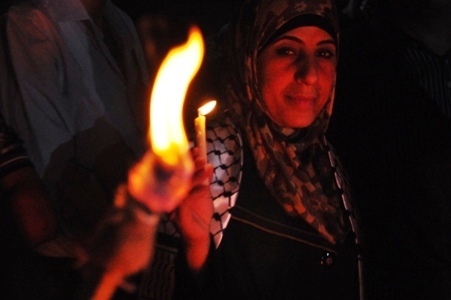 The 1992 hunger strike was recognized as the most successful strike in the history of the Palestinian prisoners’ cause. The reason it was so successful was that all three factors were aligned, especially the popular uprising to support detainees. Not all prisons join the strike because the first factor – good preparation – is so important. Poor relations with the prison leadership or coordination between prisons prevents them from adequate preparation. The IPS concentrates on adding more obstacles that negatively affect and weaken the ability to prepare, chiefly by transferring the leaders of the prisoners movement between prisons to prevent them from meeting and coordinating a strike. It’s good that the unprepared prisons don’t join the strike as their participation may cause confusion during the strike and limit its success or cause it to fail. During a strike, strikers are deeply influenced by all news. News about the rising number of strikers raises their spirits and creates pressure on the IPS. Conversely, news about the breaking of the hunger strike at a prison or even at a section depresses them. This can be destructive and pose a great threat to the success of the strike. Today is the thirteenth day of the battle. Our heroes start thinking about the achievements that they will realize when they win. They are also preoccupied with the demands they are hoping will be met from this hunger strike. Allowing family visits is on the top of the list of their demands. Thousands of prisoners from the Gaza Strip and the West Bank have been banned from visiting for years for security reasons. Prisoners’ families in the Gaza Strip haven’t been allowed to see their relatives in Israel’s prisons since 2006; a source of major and persistent distress on our prisoners’ souls. Staying in touch with families is one of the most important needs for prisoners as their worries and thoughts about their families never cease. The worry about losing a member of the family is the heaviest. Losing a member of the family while imprisoned – especially a parent – is their greatest fear. The ban on family visits ensures that the detainees’ worries about losing their beloved ones is enduring. Moreover, the ban on family visitation separates the prisoners from the outside world and creates a barrier between them and their relatives. For those who are banned from family visits, receiving good news regarding their mothers, wives and especially their children is their biggest dream as they spend these years fantasizing about their kids growing up, and seeing them in reality becomes the most precious thing they could ever have. Thinking about the possibility that this dream may come true after the strike strengthens the strikers’ determination and makes all the pains of their imprisonment and hunger strike bearable. This – seeing their children – is the greatest victory they hope for. The family visit is one of our prisoners’ basic rights and banning it is a horrible violation of all international agreements. It is our duty to support them in their quest to have this right restored. Win and we have the honor of supporting you. We have faith in you ability and your just cause as your victory is the triumph of humanity. Today is the fourteenth day of the battle of empty stomachs. The IPS begins to take the strikers seriously and begins to meet intently with the leaders of the prisoners movement. They now realize that the strike won’t be easily broken and that they have to be more flexible, unlike how they behaved in the first days of the strike. Our leaders begin to firmly demand solutions to complicated issues and the IPS accepts many of the minor demands, hoping to end the strike. However, the strike’s leaders have determined that they won’t relent or show any flexibility unless the IPS meets as many of the demands they are hoping to achieve as possible. Prisoners’ demands usually revolve around two or three main issues which constitute the heart of the strike. The other demands are of less importance. All these demands are ordered according to significance by the strike’s leaders in committees by the strike’s leaders in cooperation with all detainees. The preparation committees set meetings a day before the strike begins and every prisoner gives his suggestions regarding the demands. In the end, all these suggestions are collected and compiled. These demands are given to the IPS by the leaders to study when they are informed about the launch of the hunger strike. The leaders are forthright with the IPS about their demands, and they are insistent that they are the keys to ending the hunger strike. Negotiations between the IPS and the strike’s leaders revolve around the demands. As the strike grows longer, the negotiating becomes increasingly serious as the pressure on the IPS increases. By today – the fourteenth day of the strike – the need to send detainees to external hospitals increases and the number of strikers who suffer from serious medical problems increases and the severity of their conditions worsens. Their continual medical examinations become a burden to the IPS. Additionally, political and security pressure increases due to local and international solidarity with the prisoners’ just cause. The withdrawal of the enemy’s administration from its initial, inhumane attitude gives our heroes the motivation to continue on their march toward victory. We have complete trust in the strike’s leaders that they will take the best offers once they are available and end the strike with a satisfactory victory that will make all of us proud. Today is the fifteenth day in the battle of empty stomachs. One of the most important demands that our prisoners are aiming to achieve from this strike is ending the solitary confinement policy. The solitary confinement policy is regarded as one of the most horrible crimes and one of the most difficult punishment procedures that are committed against our brave detainees by the IPS. The segregation cell in which a prisoner lives on his own is very narrow and has a bathroom inside and is isolated from the rest of the prison’s rooms. The isolated detainee is allowed to leave the cell to a small yard for only one hour a day — foura. The jailer selects the time of this break according to his mood; it can be in the midnight or very early in the morning while the prisoner is sleeping and that indirectly aims to deprive the prisoner from having the one-hour break during these days. Getting out to that small yard which is besieged by giant walls and is empty of people doesn’t happen before the prisoners’ hands and feet are shackled. This is another procedure to cut down their desire to leave the cell and to reach their goal to destroy the prisoner’s mind and devastate his mental, psychological and physical health as fast as possible. The prisoner’s isolation for long time means one has to eat alone, think alone, become happy or sad alone, talk to no one but himself, see nothing but walls, hear nothing but the chains’ sounds and the jailers’ loud voices — all that and even more causes that aim to be quickly achieved. Imagine how bad the situation of those prisoners who are put in isolation is when they are subjected to all that. No one can get out of this cell the same without having any damage, especially those who spent long time in isolation. One should enjoy a strong determination and an ability to do activities which contributes to maintaining his psychological and physical health to pass this difficult isolation with as little damage as possible.